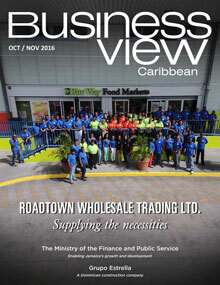 Business View Caribbean profiles Divico Distributors, a wholesale distribution company, located in Cole Bay, St. Maarten, N.A. Sunny Khatnani, the Managing Director of Divico Distributors only came to the business in 2006, when his uncle, Danny Ramchandani, alerted him to the fact that the company might be for sale. 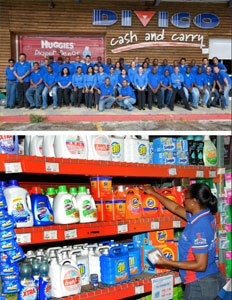 “The owner was a Nestlé executive handling brands all over the Caribbean, and Central and South America,” says Khatnani. 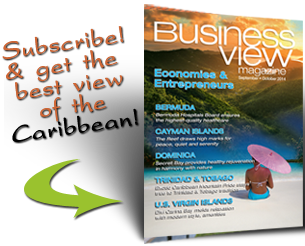 “When he retired from Nestlé, he decided to open on the island of St. Maarten. He started with one or two brands, and then he built the company up from there.” In order to decide what the business would be like, Khatnani offered to work for free for three months. “I realized that I was enjoying what I was doing – organizing the company and making it better.” Within a few weeks, he was sold. Divico’s products are all imported – 60 percent come from the USA and 40 percent from Europe. The company’s distribution network extends to more than 900 clients in St. Maarten, French St. Martin, St. Barts, Anguilla, Saba, St. Eustatius, Dominica, St. Kitts & Nevis, Antigua, and Tortola. “A typical customer can range from a large supermarket, a large club store, a small convenience store, a gas station, a hotel, a restaurant, a bar, a business. We sell to auto parts stores; we sell to mechanics. We sell to everyone. We have a very, very large portfolio of products,” Khatnani says. That portfolio includes: food and drink; candy, snacks, and chocolate; health and personal care products; baby and pet products; and household and outdoor products. WHERE: Cole Bay, St. Maarten, N.A.